Energy efficiency is a hot-button topic for property managers. 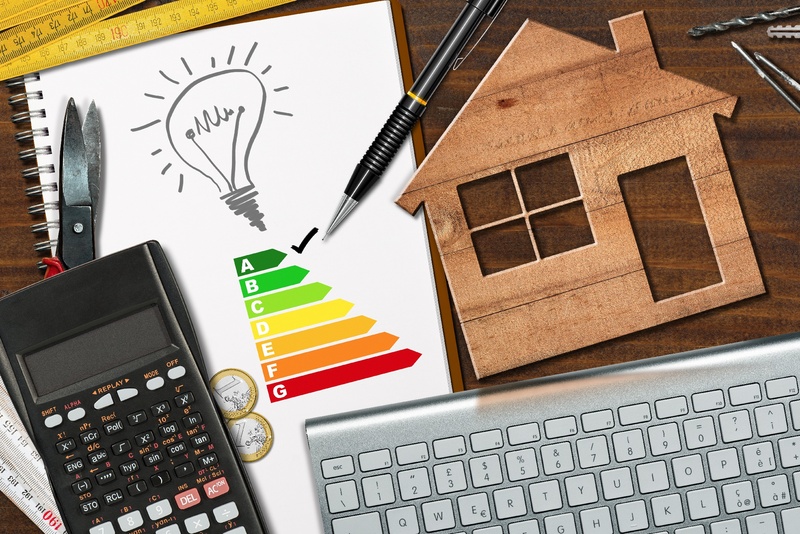 Not only does having energy-efficient rental properties help keep utility costs down, but some ecologically-conscientious renters prefer spaces that are optimized for energy efficiency. So, knowing how to save energy in a rental property is a key skill for property managers. Rental property management often includes making repairs to the building. Going beyond basic property maintenance to engage in some rental home remodeling can provide some long-term benefits. For example, instead of scheduling simple routine maintenance, property managers can opt to upgrade specific components of the structure to improve its insulation. Imagine the following scenario: A renter calls about a broken window after an accident or storm. Instead of simply replacing the single-pane standard window with an identical one, all of the windows in the rental property could be replaced with double-paned glass to improve insulation. While more expensive in the short term, this would help to reduce heat loss/gain from the windows—which would help save energy on utilities in the long run. Other insulation upgrades that could be worked into a rental home remodeling project include installing new insulation in the attic and between the walls of the structure, insulating power outlets and switches, and repairing heating, ventilation, and air conditioning (HVAC) system vents to prevent leaks. In recent years, “smart home” devices have become increasingly common and affordable to the average homeowner (and, thus, the average property management company). These devices can connect to a wireless internet network to enable remote commands, create scheduled events, and even help save energy. Smart Thermostats. In many properties, the thermostat is set once, and then largely ignored by the building’s occupants—they set it to a comfortable temperature and keep it there regardless of whether they’re in the building, if there’s a heat wave, or if keeping the air conditioning or heat on would simply be a waste of electricity. Smart thermostats can be set up to create a routine for heating and cooling the building in a way that saves energy. This can include automatically turning off the HVAC system at night or keeping temperatures within the building to a few degrees of the outside temperature when weather is temperate. Additionally, some smart thermostats may allow renters to shut off the HVAC system remotely when they’re out of the house, and turn it back on in time to get the property’s temperature back to a comfortable range for when they return—helping improve tenant satisfaction while saving energy. Smart Lights. Wi-Fi-enabled smart lights can be remotely controlled by smartphone apps and even voice-controlled devices (such as Google Home or Amazon’s Echo devices). Depending on the smart light manufacturer, it is possible to arrange lighting “schedules” to automatically turn the lights off at a certain time of night or day when the renters won’t be awake or in the building. Also, some smart light apps allow renters to remotely monitor the status of their lights, turning them on or off from their phones. Smart Outlets/Switches. Some renters may be surprised to know that appliances such as televisions, ovens, blenders, cable boxes, game consoles, and the like passively consume energy—even while they’re turned off. This energy bleed raises electricity consumption considerably. Using “smart” outlets or switches to control the distribution of electricity to these appliances can help considerably reduce energy draw. How? By cutting off the flow of electricity at the outlet, no extra power is consumed by the appliances plugged into it. Using simple voice commands or apps (depending on the setup), renters can turn these outlets on and off to save power. Home Sensors. Have renters who will be out and about rather than home for much of the day? Consider adding home sensors that can control the smart devices in the property. Home sensors can be set up to detect when the property (or an individual room in the property) is empty—putting other smart devices into their standby or low-power modes to reduce energy consumption in the building. Home sensors can be a great property management tool for improving energy efficiency in a rental space. These are just a few examples of the kinds of smart devices that can be installed in a home. Thinking about using smart devices to enhance your rental property management? The Homee On Demand property maintenance solution can help! Simply open the property maintenance app on your smartphone and tap the “Smart Home” icon to select a service. From there, you can pick the specific type of smart home device you want to add to the property—a Homee will arrive in about 30 minutes after you place your order. Want more advice for how to save energy for your rental properties? Reach out to the HOMEE team today to learn more!